I was going to save my fourth installment for the Magic of Tea series for Oolong, but yesterday I had the opportunity to taste the most luxurious Oolong I have enjoyed to date. Three years ago, I had never even heard of Oolong, and you might be asking yourself the same question. 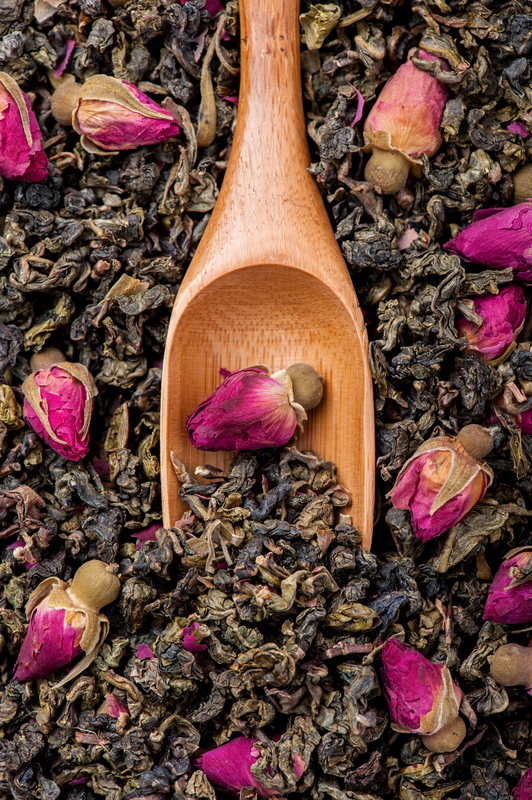 I just started back to school and have so much homework to do this weekend, I really shouldn’t be taking the time to write this blog today, but along with my collegiate studies I am taking the second class of Core Tea courses through the World Tea Academy. 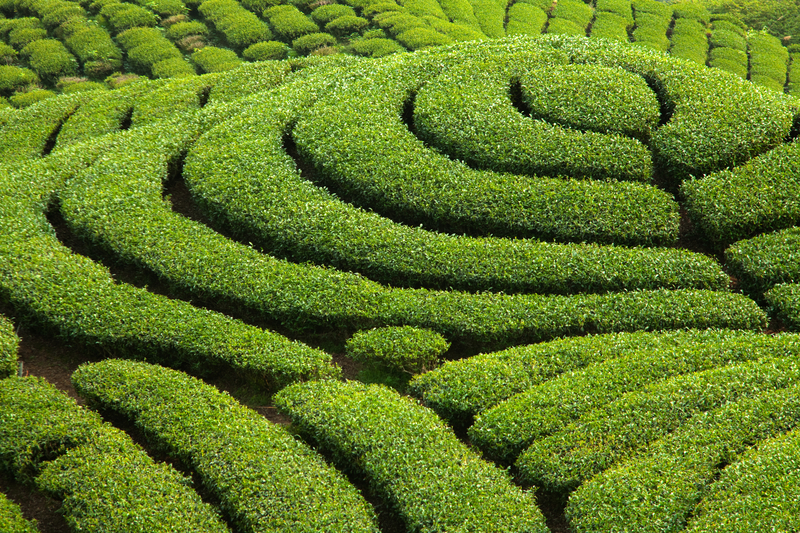 This class focuses on Tea Enhancements and Grading Systems. The final week involves a comparison tasting and detailed write-up/review of each tea sent for the class. (How tough could that be? Right?) We tasted and compared; flavored and scented, blend and decaf, and baked and aged. The flavored and scented were somewhat like an herbal blend but purely tea leaves without the botanicals added to enhance the tea flavor. Though these were good and had delightful tastes of passion fruit and jasmine, the enhancements can and do sometimes overwhelm the natural tea aromas and flavors. 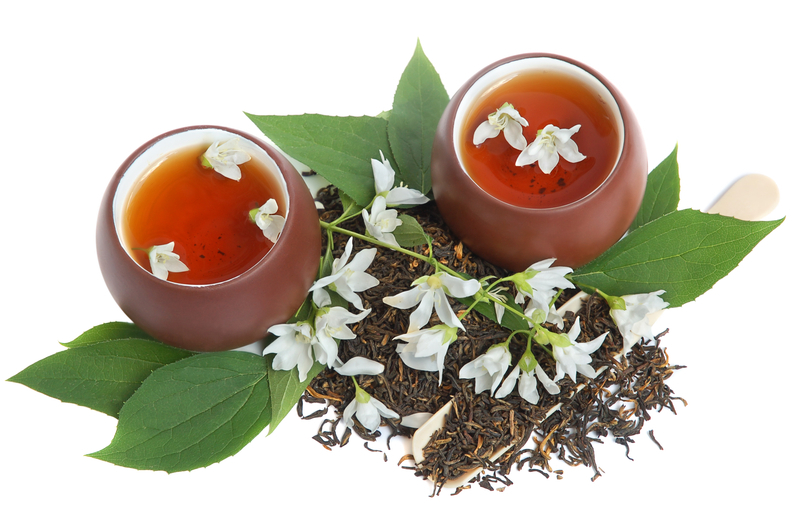 The blends are a combination of different types of tea – either from different plants, different processing techniques, different years of harvest, or from different countries. 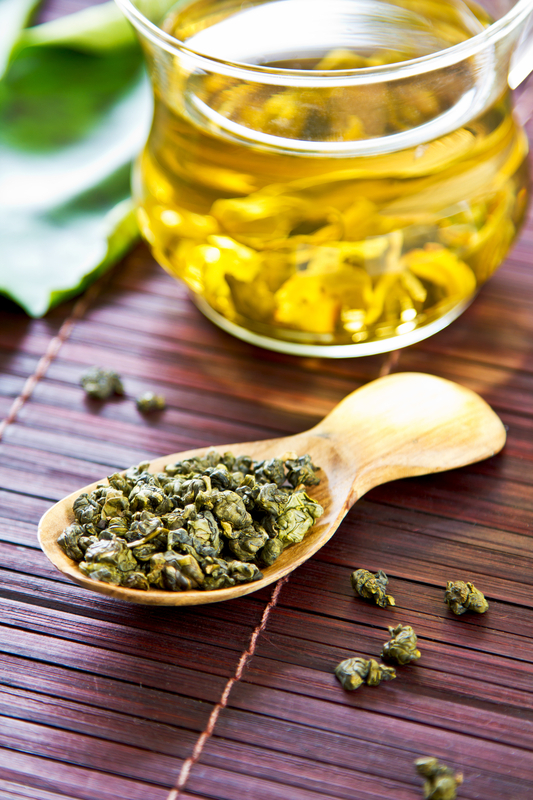 The decaf is processed with Carbon Dioxide to extract the caffeine from the tea leaves. This was a process I was unfamiliar with and now that I know – I may rethink the decaf tea in my cupboard – but that is another story…. The Baked and the Aged tea is what this story is about. You may be asking, “why would one BAKE a tea?” Baking is a process that enhances the drying of the leaf. It aids in removing any water that may be left in the leaf after processing and it is used to ‘tweak’ the flavor of the final product. 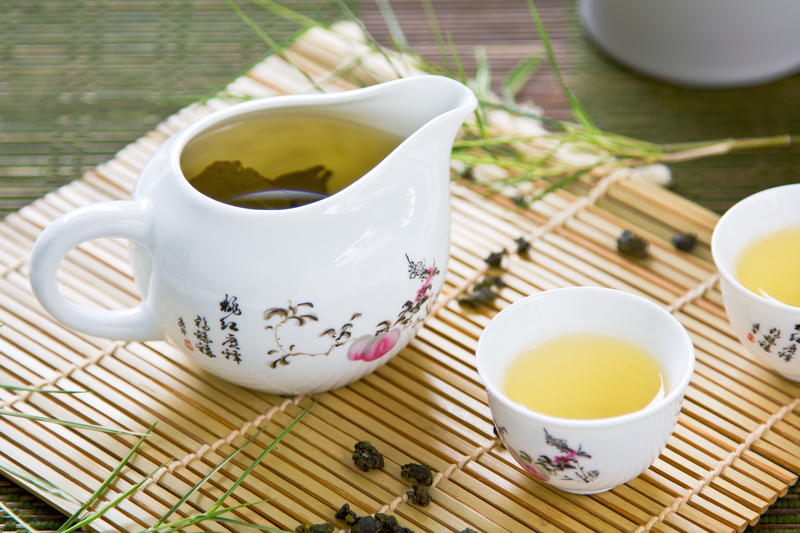 The additional heat process can activate chemical properties in the leaf and continue to remove moisture which, concentrates the flavor properties of the tea. I will be adding this process to some of our own designer teas in the future. It deepens the quality of the final brew. But back to the Oolong…. The Aged Tea we had the pleasure of tasting was from ABC Tea – web address is www.abctea.com . It’s origin was from Taiwan, the Wenshan District. The cultivar was called: Buddha’s Palm. This particular Oolong was originally harvested in Spring 2002. There were three baking procedures, one in 2002, the next in 2007, and the last in 2012. The tea is allowed to age, this particular one was aged 10 years before distribution. The brewed tea is a sunshine yellow in color. 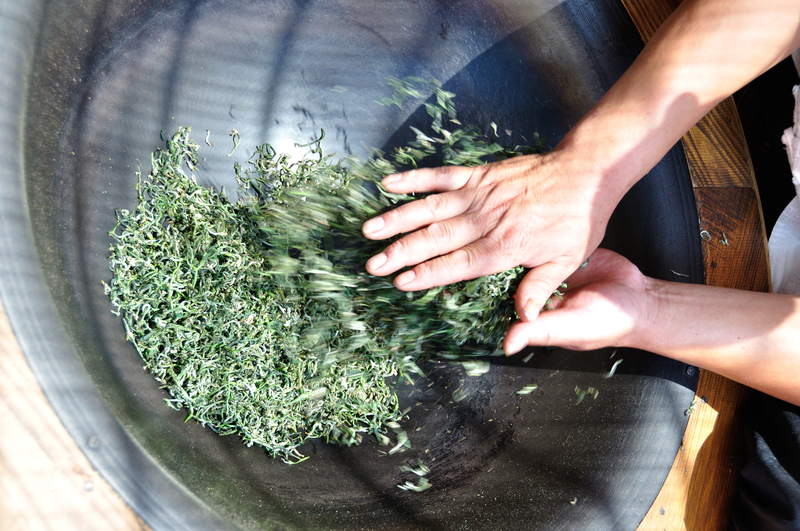 The dried, rolled leaves have an aroma of aged grass, dandelions, and a hint of clover. There was one scent that was familiar but I still cannot put my finger on it. It is one of those things that just comes to you when you least expect it and you find yourself saying, “oh yah….. that’s what that was…” As mellow as that sunshine brew looks, don’t let it fool you – it has a mild, but full-bodied flavor that has a lingering ‘perfumie’ flavor and aroma. That sounds kind of bad – but is actually a very pleasant experience. Some teas, once brewed, quickly lose their aroma, but this one maintained throughout the cup. It reminded me of a fine wine or champagne. The boldness of this Oolong is obvious but not obnoxious. All of the flavor is up front when you take your first sip. None is wasted as it is going down. Some teas impact the front of your mouth, others, the mid palate, and some have most of their impact going down. 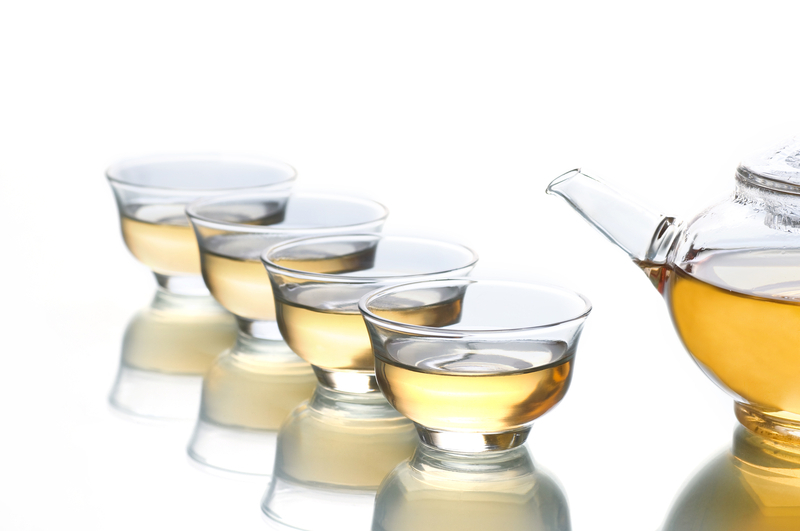 Many of the darker teas do the last and there is little enjoyment when you first sip. This fine tea is all up front which allows you to enjoy the flavor immediately and then as you swallow. I bet you didn’t know there was so much experience to take in when tasting tea. The baking throughout the aging process produced a very fine tasting experience, and after all – that is what tea is about, the experience. Well – back to the school work. and, until the next time, remember to: ‘Find Your Zen and Do The Brew’ Everyone tip those tea cups! Previous PostAjiri Tea is coming to 9 Lives Tea House!